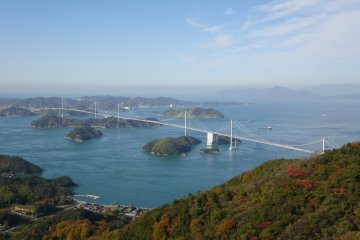 Kochi (高知, Kōchi) prefecture is located along the southwest coast of Japan's island of Shikoku. This natural paradise is famous for an abundance of sunshine, and soothing waters in the form of clear rivers and lengthy coastlines. In addition to top sightseeing destinations and historic sights, Kochi is well known for the informal, folksy appeal of local markets and activities, and rustic food halls. Exploring the Kochi countryside is also a must for seeing some of the most beautiful and natural tourist destinations in Japan. The capital city-also called Kochi-is relatively small, but filled with country charm, hospitality, and iconic streetcars. Before setting out across the greater prefecture we strongly advise visitors to spend a day or two around town to take in the top sightseeing spots and get to know some of the locals that make Kochi such a warm and inviting place. These first five destinations can all be found in and around Kochi City. Kochi Castle stands high atop the downtime area of Kochi City, surrounded by fifteen castle structures, beautiful parks, and a picturesque moat. Originally built in 1603, the castle was burned down in a massive fire in 1727 and fully rebuilt in 1749. This makes Kochi Castle Japan’s only castle where all original structures have been preserved. 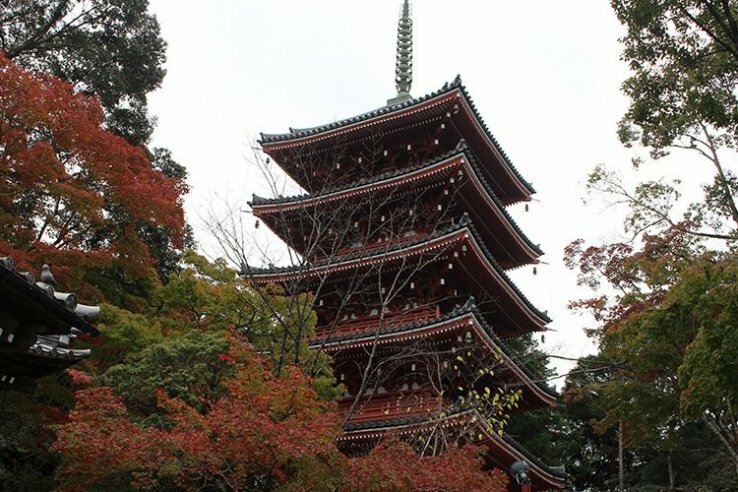 The tower itself is one of only 12 castle keeps still preserved in Japan. 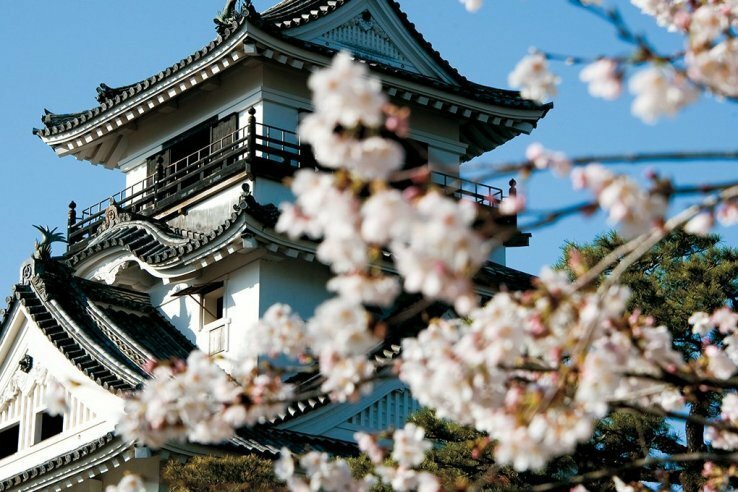 Fully explore the insides of the keep and Kochi Castle Museum for less than 500 yen. The keep observatory provides great views of the surrounding city making Kochi Castle an excellent first stop. The castle is conveniently located at the start of our next recommendation, the Sunday Market. The Sunday Market is an open-air market along the downtown streets of Kochi that has continued for more than 300 years since the Edo period. Take in the atmosphere by watching customers and vendors bargain and interact cheerfully in the Kochi dialect. Every Sunday around 500 stores line the streets offering a variety of Kochi local foods and products. Find anything from unique fruits and vegetables to cutlery and traditional crafts. 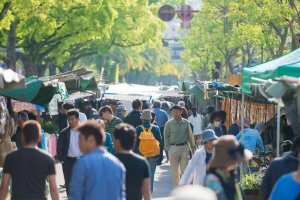 Whether you are interested in sampling foods and taking in the smells or buying souvenirs, this expansive market will not disappoint. The market extends from the Otemon main gate of Kochi Castle for over one kilometer. 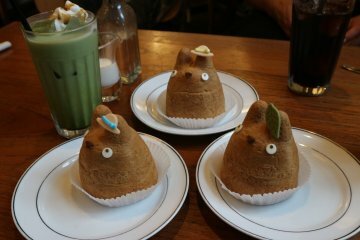 Along the way, be sure to stop by Hirome Ichiba, the next spot on our list for lunch. 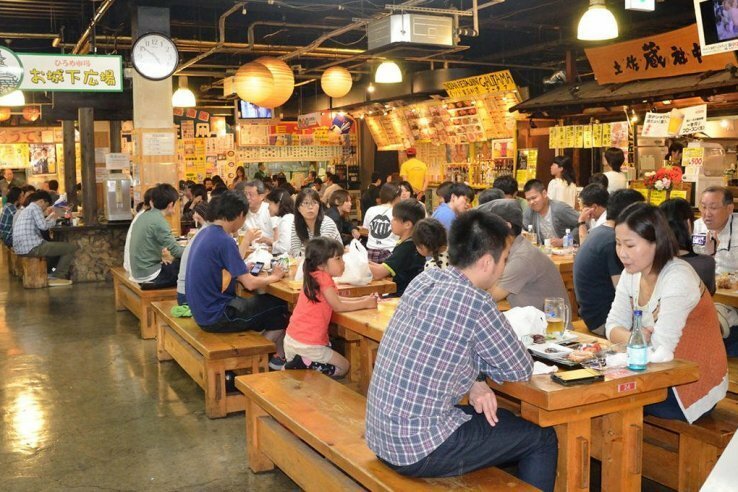 Hirome Market is the meeting hub for locals and visitors alike to share stories and sample local and international flavors. More than 65 street stall-style restaurants are contained within the market including fresh fish and meat shops, beer and local alcohols, unique souvenir shops, and clothing boutiques. Long tables are spaced through the market and ordering takeout from multiple restaurants is encouraged to optimize your selection with a variety of foods. The one must-have is katsuo no tataki, or seared bonito tuna. Prepared in a grand demonstration with large flames over straw pits, katsuo is served sliced and seared with a touch of salt. 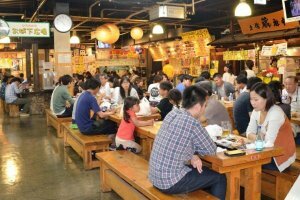 The open style of the market encourages communication with locals, a unique aspect for those familiar with the fast-paced Tokyo area. In Kochi, the locals are fond of drinking during all hours of the day so be prepared for friendly surroundings. Located next to Kochi Castle along the same road as the Sunday Market. When you see the sign pictured above, you will know you are in the right place. 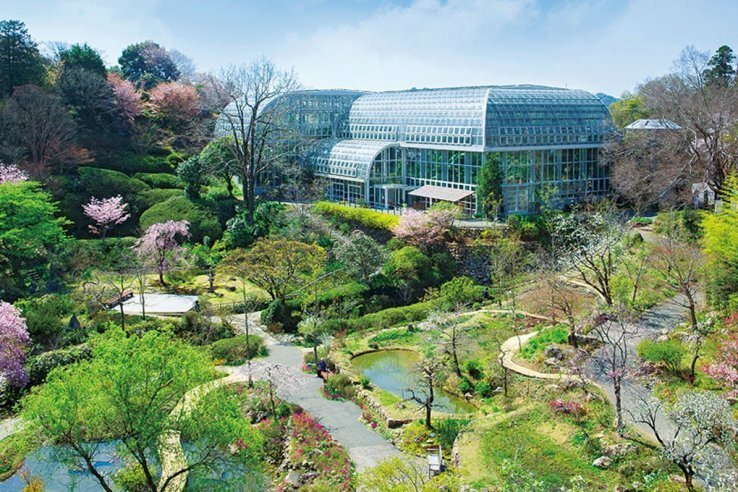 Nestled on Godaisan, a mountain just East of Kochi, The Kochi Prefectural Makino Botanical Garden is one of the most comprehensive botanical gardens in all of Japan. Get lost in the walking paths of the outdoor garden filled with seasonal plants or head indoors to the expansive greenhouse with over 3,000 types of tropical plants. Unique and enhanced plant species such as a plant with leaves resembling a goldfish can be found (and purchased as a souvenir) for those looking carefully. Created in honor of world-renowned botanist Dr. Tomitaro Makino (1862-1957) museum halls and displays are available for those interested in learning about his achievements and botanical garden developments across Japan. Access: Ride the My Yu Bus from JR Kochi Station (30 minutes) / Makino Shokubutsuen Seimon Mae bus stop. Established by the Buddhist priest Gyōki in 724 under order of Emeperor Shomu, Chikurin Temple sits on Godaisan nearby the Makino Botanical Gardens. The outdoor area surrounding the temple is peaceful and filled with covered forests and serene, moss-covered gardens. The main area holds the temple buildings which include colorful five-story pagoda. An important stop on the Shikoku Pilgrimage, and perhaps the most famous temple in all of Kochi Prefecture, Chikurin-ji is number 31 of the 88 temples. 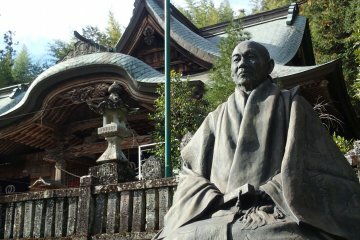 If coming from Makino Botanical Gardens or the Godaisan observatory, Chikurin-ji is a short walk, less than five minutes. The My Yu Bus day pass can be purchased just outside Kochi Station and is 50% off (around 500 yen) for tourists with a passport. 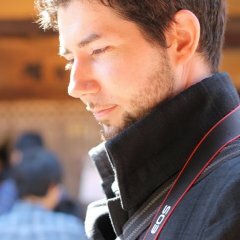 Access: Ride the My Yu Bus from JR Kochi Station (30 minutes) / Chikurin-ji bus stop. Business hours: Open access. The last bus towards Kochi Station departs around 17:30. After a few days getting to know Kochi City and the surrounding area, we recommend going just a bit farther out. Renting a car or better yet, a camper van can help explore Kochi freely. The streets are not congested and some of the best campgrounds and sightseeing spots are best reached by motor vehicle. Katsurahama is essentially a Kochi City destination as it is the last stop on the aforementioned My Yu Bus route. That being said, natural beauty all around makes this stunning landscape one of the most picturesque spots in Kochi Prefecture. 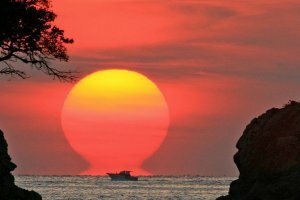 The beach has been known since ancient times as a popular venue for viewing the moon. 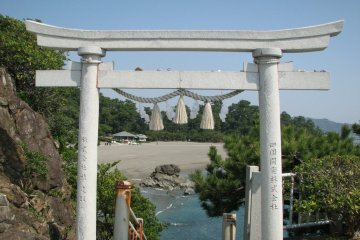 The beach stretches in a great concave arc with a cliff and small Japanese Shrine (Ryuogu Shrine) at the far end, accessible by a walking path. The unique appeal of this beach is the dense and traditional Japanese green pine grove curated just behind the sands of the beach which contrasts perfectly with the azure ocean in front. 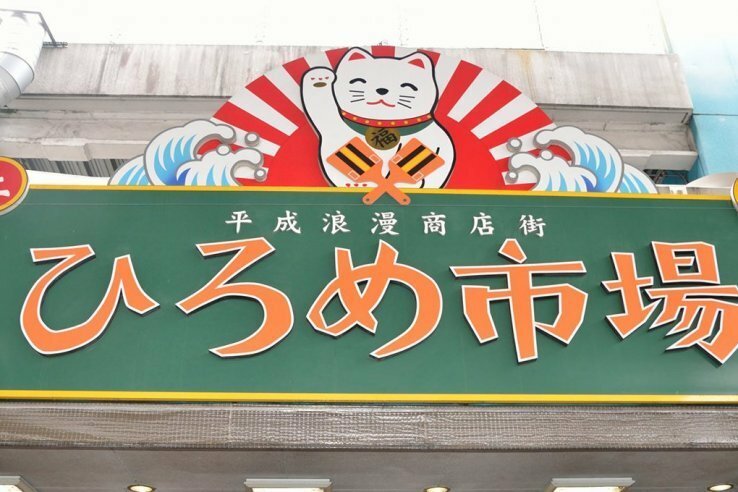 Area sites include a famous bronze statue of Kochi Prefecture's Sakamoto Ryoma, the beachside Katsurahama Aquarium, souvenir shops and restaurants that serve the famous Katsuo no tataki. This is a sightseeing destination as swimming is prohibited due to strong currents. Katsurahama Beach is the last stop on the My Yu Bus and can be reached in about one hour from Kochi Station. Business hours: Open access. The last bus towards Kochi Station departs around 17:00. The Niyodo is one of two key rivers that help to define Kochi's countryside. 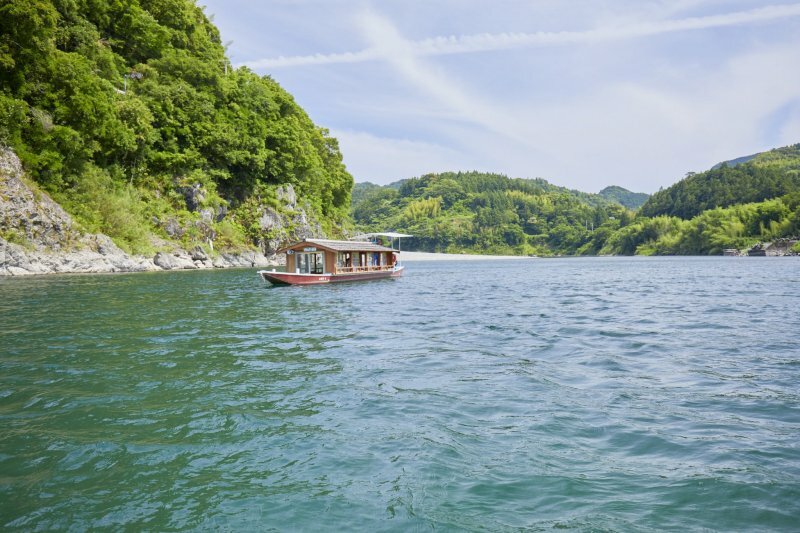 At 124 km in length there a range of activities from fishing and swimming to riding a river houseboat (yakatabune) with tatami mats and tables for lunch and music or storytelling from a local guide knows as you float down the tranquil waterway. There are also soft rafting tours of the upper streams of this Niyodo River if you are looking for light activity. Known for the Niyodo Blue, a mysterious cobalt blue color born from the crystal clear streams, the water is transparent all the way to the riverbed below. This clear water makes the Niyodo River the highest water quality in all of Japan. The Nakatsu Gorge, where the Nakatsu River flows to join the Niyodo River, is a popular spot for viewing Niyodo Blue. The ravine features a scenic walking path that weaves between large boulders and crosses the river with stone bridges. As you take in the waters from different angles, you will clearly see why the Niyodo Blue is such an apt name. At the end prepare for a splendid close-up view of the 20-meter "Ryudosui", waterfalls. The total trek is around one hour and there is a restaurant just near the opening of the path. At night time, the walking path is not recommended, but there is an attractive light display over the Niyodo River. Access (Nakatsu Gorge): About 70 mins by car from Ino Exit on the Kochi Expressway. The Shimanto River is the longest river in Shikoku at 196 km and is known as “Japan’s last remaining unobstructed stream” with no dams or blockage throughout. Unique attractions along the river include the "Chinkabashi", concrete bridges with no railings designed to submerge into the river during times of flood. The bridge paths are just wide enough for a single car to cross in most places. The 291.6-meter Sada Chinkabashi is the closest to the river's mouth and the longest of all these bridges. A large number of tourists visit the area to see the bridge as it is the best known low-water crossing. One of the best ways to explore the river is through the Shimanto Rin-Rin Cycle service. The land is flat and there are few cars alongside the river making cycling tours highly accessible. Bicycles can be rented and returned form seven terminals along the river. 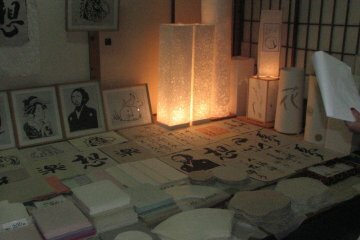 The Shimanto Tourist Information Center has English support and materials available. Known as the roof of Shikoku, the highland "Shikoku Karst" area is an elevated landform dotted with white limestone and cone-shaped sinkholes. In addition to interesting paths and majestic viewpoints over a sea of clouds, the area is also home to a great number of pastured milk cows. Trails have been built in the park and some of them, covered with Japanese cypress woodchips, wind through forested areas, offering visitors a comforting environment and therapeutic effects. The nearby Tengu Kogen Highlands holds the aptly named Forest Therapy Road which takes you through the forest on a path of soft wood chips surrounded by nature. 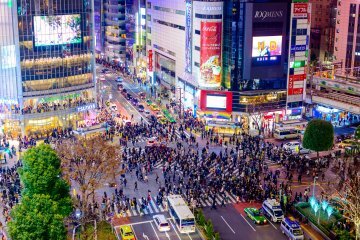 Kochi is famous in Japan for some of the best views of the starry night skies. Shikoku Karst National Park commands some of the best views of the night sky, and at times the stars appear close enough to reach out and touch. 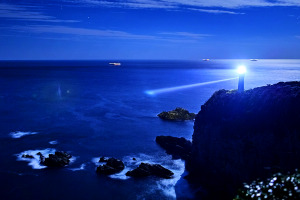 Cape Ashizuri is a promontory featuring an observation area with sweeping views of the ocean and the nearby lighthouse. Located at the tip of the Ashizuri Peninsula jutting out into the azure Pacific Ocean the cape is the most distant spot on the list from Kochi City, but for those who have the means and ability to fully explore Kochi, it is not to be missed. The cape observatory provides spectacular views of landscapes created by nature, and certainly feel the grandeur of the earth. The lighthouse stands 18 meters tall and the observation deck offers a breathtaking panoramic 270-degree view of the surrounding land and waters. There are several trails in the area including a two-kilometer seaside hiking trail that snakes through the landscape overlooking the raging waters. Visitors may also take a glass-bottomed boat tour to view underwater scenes, such as coral and tropical fish, off the Tatsukushi and Minokoshi beaches near Cape Ashizuri. If you are lucky enough to stay the night, this is another of Kochi's top star viewing destinations. The stars shine down over the expansive seas unobstructed by objects or artificial lights. Although not a sightseeing destination, the Yosakoi festival is deeply rooted with the people in Kochi. 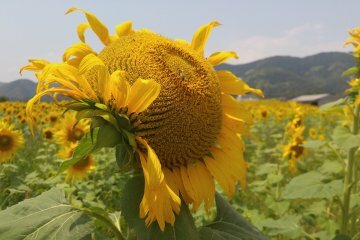 Celebrated as one of Japan's 10 largest festivals, Yosakai is held every summer from August 9th to 12th. Yosakoi is an energetic and powerful festival which attracts dance groups from around the country clad in bright and vibrant costumes. 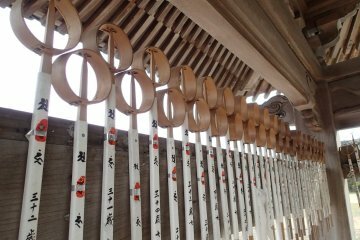 Visitors and encouraged to join in the street festivities so pick up your "naruko" wooden clappers and get ready to move your hips. Fireworks displays are a part of the opening ceremonies. In addition to the main event, teams of Yosakoi dancers perform in the city’s central arcade every Sunday from May to July and in front of JR Kochi Station every Sunday from August to December. 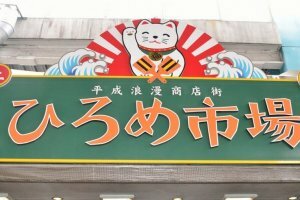 Sample the atmosphere of the Yosakoi Festival at the Kochi Yosakoi Information Exchange Center open year round. Access: 10-minute walk from JR Dosan Line Kochi Station on Shikoku Railway.